Kristine Taylor is your resident expert for Celebration, Florida. 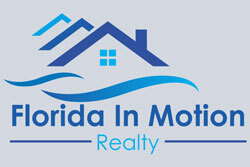 I specialize in homes for sale and real estate in Celebration, Florida and the surrounding areas of Windermere, Davenport, Kissimmee and Southwest Orlando, Kristine is experienced in new home construction, single family home, condominium and town homes. Kristine has been a resident of Florida for over 45 years and has lived in Celebration for 15 years and is multi million dollar producer. Central Florida offers it all with its moderate climate, cultural and natural beauty and easy access to both Florida pristine coastlines it puts you in a tropical vacation paradise year round! Celebration enables you to live in the heart of Central Florida. Celebration was designed and developed by the Walt Disney Co. combining the best of yesterday and today. Celebration is connected directly to Walt Disney World parks and resorts by World Drive, the North end begins at the Magic Kingdom and the South end connects to Celebration Blvd. Downtown Celebration offers quaint shops, dining in world class restaurants or charming cafes, the Bohemian Hotel and year round community events! The Celebration Golf Club offers 18 holes of championship golf. Need help finding your dream home? Just tell me what you are looking for and I will search all of our sources and provide you with a convenient report of all the properties that you may be interested in. 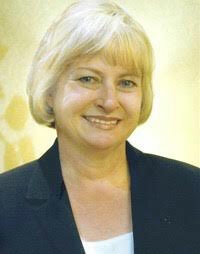 Kristine is a great realtor – very knowledgeable & professional – I highly recommend her services. Our first agent wasn’t tuned into the area and we felt ignored. We found Kristine and after talking to her decided to fly down for 2 days, a week later we closed on our property with Kristine setting up everything while we sat in Massachusetts. Kristine more than met our expectations and we look forward to stopping by and saying Hi during our next visit to Florida. My wife and I where impressed with Kristine’s attitude, knowledge listening ability. I would say, don’t waste your time with anyone else, she knows her job, respects you as a client and friend, and walks you to the finish line. I have worked with Kristine Taylor for over 2 years now, procuring and viewing properties. I myself, was a Principal Broker in Hawaii for years, with as many as 30 agents working under me at any time. I can say without hesitation that Kristine is an amazing Realtor. Her work ethic and professionalism are what every Realtor should strive for. If you want a Realtor that listens to your needs and works endlessly to meet them, then Kristine is the person you should be working with!! We are more than happy to recommend Kristine Taylor as an excellent qualified Real Estate Agent. Kristine has been working with us in the search of buying our new house and we could not ask for a more knowledgeable and professional agent. Kristine Taylor is an extremely proactive professional. She does not wait for the opportunity to come to her, she always goes out and finds new properties for us to look at it. Kristine is very patient, and in all the tasks she does, whether business or interpersonal, she always accomplishes them with a noticeable degree of competence, integrity and grace. Kristine has the respect of all of her peers. She is also active in the community from the time when it was established. We highly recommend Kristine Taylor for her excellence and professionalism whether selling, buying, or in any real estate transaction. You will not find a more successful real estate agent than Kristine.